The Collected Interior: Inspiration...Elephant Ears! Hey guys, one of my favorite warm weather plants are big and beautiful Elephant Ears! 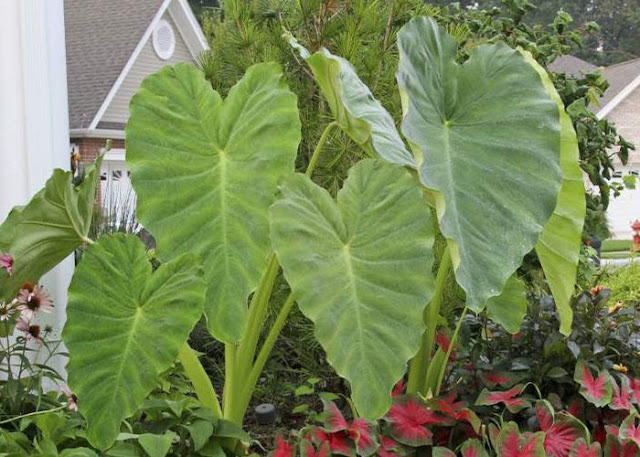 Now the scientific names for these plants, because there are several varieties, include... Taro, Cocoyam, Dasheen, Chembu, and Eddoe. Interesting huh? Another thing I can tell you is that they are super easy to grow, and all you need is warm and humid weather. Literally my hubby planted ours by sticking bulbs right in the ground. Aren't they great next to our screened porch? 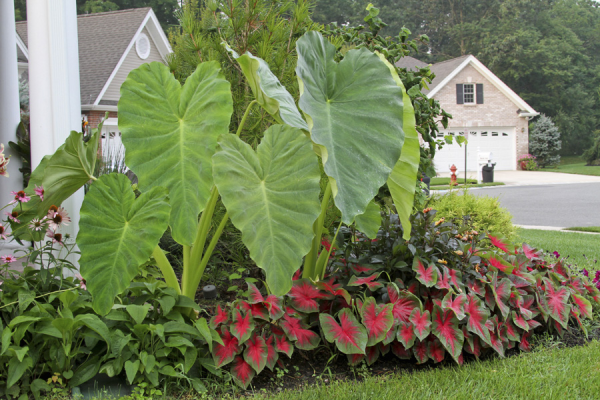 So if your backyard or garden is in need of tropical update, think Elephant Ears! 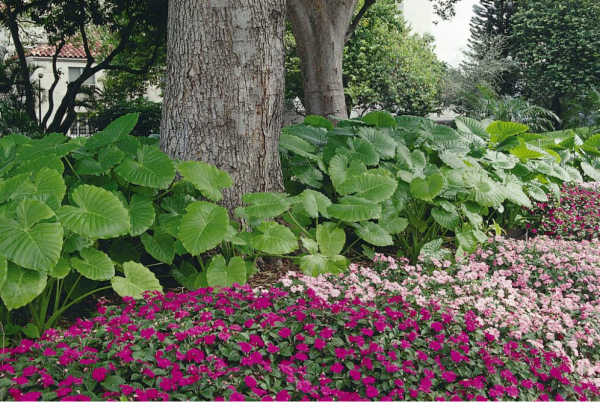 They grow all Summer long and thrive in wet/humid climates. And because of their large size, they make great focal points for gardens, screened porches and even decks. These are exactly what we need in our backyard! Beautiful. Allison, you will LOVE them!!! In Kansas, we have to dig them up before winter, BUT, my husband is CRAZY about these things and has so many he has to give them away now! He would be in love with yours! I saw your blog tittle and I thought "BOMB i love those fried dessert too"...omg am i pregnant!? Seriously thought those plants are fabulous!